Over 659 great reviews and counting! We made your Dodge model the superior vehicle it is today and we want to ensure it remains that way – whether it’s taken you 10,000 miles or 100,000 miles. That’s why University Dodge Ram offers Dodge service and repair, so you have access to the latest specialized technology and every component of your vehicle. By bringing your Dodge vehicle to University Dodge Ram for all your service and repair needs, from regularly scheduled appointments to major repairs, you can count on a continued driving experience unlike any other – for every single mile of your lease or ownership. Ram Commercial vehicles are built strong to deliver from the ground up. With Best-in-Class features and proven durability, every truck and van leaves its mark on the jobsite. And helps improve your bottom line. Combine power & performance with passion, and you’ll get the signature thrill that comes with every Dodge vehicle. From the sleek Dodge SRT Viper to the classic SRT Dodge Challenger you can be sure we know the meaning of performance. 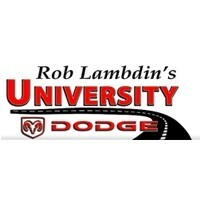 University Dodge Ram is the premier Dodge dealer of Miami FL. University Dodge Ram of Miami is honored by its faithful clientele and dedicated to top quality customer service. This Miami Dodge dealer is full of Dodge experts with a committed Dodge sales staff with many years of experience satisfying our customers’ inquiries and automotive needs. Browse our thorough University Dodge Ram’s inventory online, request more information about vehicles, set up a test drive or inquire about financing!